New! We recently revised this policy. Please review the summary of changes and updated policy below. You can find the earlier policy in our archive. We believe that transparency is the key to any healthy relationship. At Fitbit, we are all about healthy attitudes. We appreciate that you are trusting us with information that is important to you, and we want to be transparent about how we use it. Some information is required to create an account on our Services, such as your name, email address, password, date of birth, gender, height, weight, and in some cases your mobile telephone number. This is the only information you have to provide to create an account with us. You may also choose to provide other types of information, such as a profile photo, biography, country information and community username. To help improve your experience or enable certain features of the Services, you may choose to provide us with additional information, like your logs for food, weight, sleep, water or female health tracking; an alarm; and messages on discussion boards or to your friends on the Services. Some Fitbit devices support payments and transactions with third parties. If you activate this feature, you must provide certain information for identification and verification, such as your name, credit, debit or other card number, card expiration date, and CVV code. This information is encrypted and sent to your card network, which upon approval sends back to your device a token, which is a set of random digits for engaging in transactions without exposing your card number. For your convenience, we store the last four digits of your card number and your card issuer’s name and contact information. You can remove the token from your account using your account settings. We do not store your transaction history. If you purchase Fitbit merchandise on our website, you provide your payment information, including your name, credit or debit card number, card expiration date, CVV code and billing address. We do not store this payment information. We store your delivery address to fulfil your order. Note that third-party payment processors may retain this information in accordance with their own privacy policies and terms. Our live coaching services are a platform for you to communicate with a live health, fitness or wellness coach (“Live Coaching Services”). Coaches may be provided by third parties, such as your employer or insurance company, or by our third-party coaching service providers. If you use our Live Coaching Services, we collect information about such use, including the plan, goals and actions you record with your coach, your calendar events, communications with your coach, notes your coach records about you, and other information submitted by you or your coach. Your device collects data to estimate a variety of metrics like the number of steps you take, your distance travelled, calories burned, weight, heart rate, sleep stages, active minutes and location. The data collected varies depending on which device you use. Learn more about the features of our various devices and how you can use MobileTrack. When your device syncs with our applications or software, data recorded on your device is transferred from your device to our servers. The Services include features that use precise location data, including GPS signals, device sensors, Wi-Fi access points, and cell tower IDs. We collect this type of data if you grant us access to your location. You can always remove our access using your Fitbit device or mobile device settings. We may also derive your approximate location from your IP address. When you access or use our Services, we receive certain usage data. This includes information about your interaction with the Services, for example, when you view or search content, install applications or software, create or log into your account, pair your device to your account, or open or interact with an application on your Fitbit device. We also collect data about the devices and computers you use to access the Services, including IP addresses, browser type, language, operating system, Fitbit or mobile device information (including device and application identifiers), the referring web page, pages visited, location (depending on the permissions you have granted us), and cookie information. We may partner with third parties, such as employers and insurance companies that offer Fitbit services to their employees and customers. In such cases, those companies may provide us with your name, email address, or similar information (like a telephone number or subscriber ID) so that we can invite you to participate or determine your eligibility for particular benefits, such as discounts or free services. To the extent that information we collect is health data or another special category of personal data subject to the European Union’s General Data Protection Regulation (“GDPR”), we ask for your explicit consent to process the data. We obtain this consent separately when you take actions leading to our obtaining the data, for example, when you pair your device to your account, grant us access to your exercise or activity data from another service, or use the female health tracking feature. You can use your account settings and tools to withdraw your consent at any time, including by stopping use of a feature, removing our access to a third-party service, unpairing your device, or deleting your data or your account. Using the information we collect, we are able to deliver the Services to you and honour our Terms of Service contract with you. For example, we need to use your information to provide you with your Fitbit dashboard tracking your exercise, activity and other trends; to enable the community features of the Services; and to give you customer support. If you use the Live Coaching Services, we use your information to connect you with coaches, allow you to communicate with them through our Services, and help you achieve your goals to lead a healthier, more active life. For example, the goals that you provide allow you to develop a personal plan and set of actions in consultation with your coach. Information like your height, weight, gender and age allows us to improve the accuracy of your daily exercise and activity statistics like the number of calories you burned and the distance you travelled. Based on your sleep data, we may make inferences about your sleeping patterns and provide you with customised insights to help you improve your sleep. You may direct us to disclose your information to others, such as when you use our community features like the forums, 7-day leader-board, and other social tools. For certain information, we provide you with privacy preferences in account settings and other tools to control how your information is visible to other users of the Services. Just remember that if you choose to participate in a challenge, information like your profile photo, posted messages, total steps in the challenge, personal statistics, and achievements, is not governed by your privacy preferences and will be visible to all other challenge participants. You may also authorize us to share your information with others, for example, with a third-party application when you give it access to your account, or with your employer when you choose to participate in an employee wellness program. Remember that their use of your information will be governed by their privacy policies and terms. You can revoke your consent to share with third-party applications or employee wellness programs using your account settings. Accessing and Exporting Data. By logging into your account, you can access much of your personal information, including your dashboard with your daily exercise and activity statistics. Using your account settings, you can also download information in a commonly used file format, including data about your activities, body, food and sleep. If you choose to delete your account, please note that while most of your information will be deleted within 30 days, it may take up to 90 days to delete all of your information, like the data recorded by your Fitbit device and other data stored in our backup systems. This is due to the size and complexity of the systems we use to store data. We may also preserve data for legal reasons or to prevent harm, including as described in the How Information Is Shared section. Objecting to Data Use. We give you account settings and tools to control our data use. For example, through your privacy settings, you can limit how your information is visible to other users of the Services; using your notification settings, you can limit the notifications you receive from us; and under your application settings, you can revoke the access of third-party applications that you previously connected to your Fitbit account. You can also use the Fitbit application to unpair your device from your account at any time. If you need further assistance regarding your rights, please contact our Data Protection Officer at data-protection-office@fitbit.com, and we will consider your request in accordance with applicable laws. If you reside in a Designated Country, you also have a right to lodge a complaint with your local data protection authority or with the Irish Data Protection Commissioner, our lead supervisory authority, whose contact information is available here. We keep your account information, like your name, email address and password, for as long as your account is in existence because we need it to operate your account. In some cases, when you give us information for a feature of the Services, we delete the data after it is no longer needed for the feature. For instance, when you provide your contact list for finding friends on the Services, we delete the list after it is used for adding contacts as friends. We keep other information, like your exercise or activity data, until you use your account settings or tools to delete the data or your account because we use this data to provide you with your personal statistics and other aspects of the Services. We also keep information about you and your use of the Services for as long as necessary for our legitimate business interests, for legal reasons, and to prevent harm, including as described in the How We Use Information and How Information Is Shared sections. We appreciate the importance of taking additional measures to protect children’s privacy. Persons under the age of 13, or any higher minimum age in the jurisdiction where that person resides, are not permitted to create accounts unless their parent has consented in accordance with applicable law. If we learn that we have collected the personal information of a child under the relevant minimum age without parental consent, we will take steps to delete the information as soon as possible. Parents who believe that their child has submitted personal information to us and would like to have it deleted may contact us at privacy@fitbit.com. We rely on multiple legal bases to lawfully transfer personal data around the world. These include your consent, the EU-US and Swiss-US Privacy Shield, and EU Commission approved model contractual clauses, which require certain privacy and security protections. You may obtain copies of the model contractual clauses by contacting us. 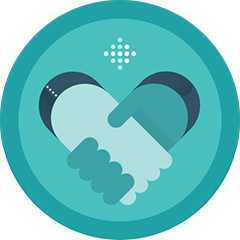 Fitbit, Inc. complies with the Privacy Shield principles regarding the collection, use, sharing and retention of personal information as described in our Privacy Shield certifications. Learn more about Privacy Shield here. Fitbit, Inc. is subject to the oversight of the US Federal Trade Commission and remains responsible for personal information that we transfer to others who process it on our behalf as described in the How Information Is Shared section. If you have a complaint about our Privacy Shield compliance, please contact us. You can also refer a complaint to our chosen independent dispute resolution body JAMS, and in certain circumstances, invoke the Privacy Shield arbitration process. Please note that the countries where we operate may have privacy and data protection laws that differ from, and are potentially less protective than, the laws of your country. You agree to this risk when you create a Fitbit account and click “I agree” to data transfers, irrespective of which country you live in. For a list of the locations where we have offices, please see our company information here. If you later wish to withdraw your consent, you can delete your Fitbit account as described in the Your Rights To Access and Control Your Personal Data section. If you have questions, suggestions, or concerns about this policy, or about our use of your information, please contact us at privacy@fitbit.com.